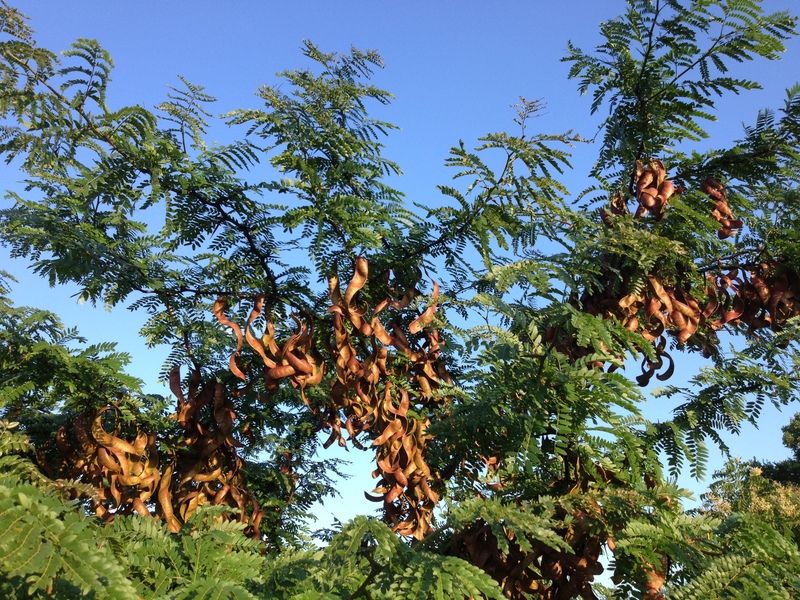 The Honey Locust is a heavily-thorned tree with large curled bean pods and cinnamon-colored heartwood. It can be identified by it’s compound thorns (thorns growing from thorns) which often protrude from the trunk in clusters. Many bow-makers prize this wood for its physical characteristics (tensile and compression strength) which are good for making bows. Though not as tough as Bois d’ arc (osage orange) or hickory, honey locust is quite durable. 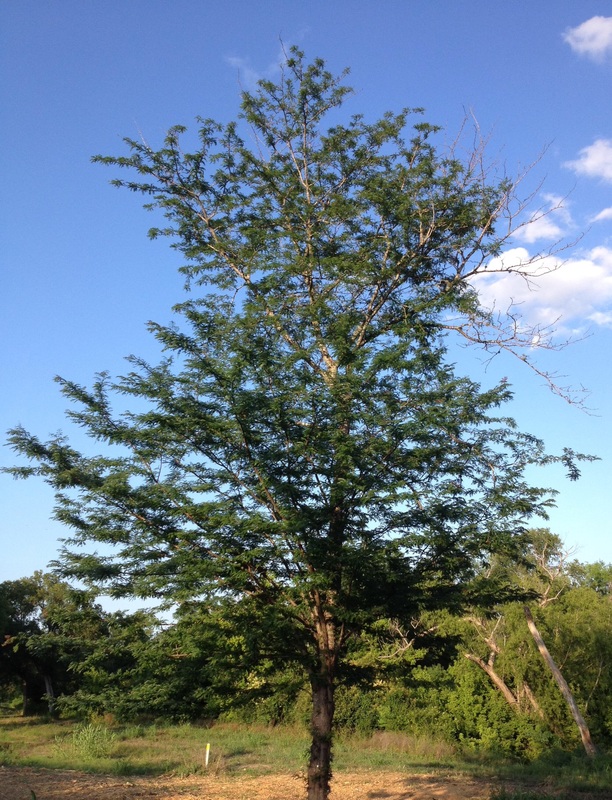 In Texas, the distribution of honey locust is primarily in the Eastern part of the State and the Red River Valley. The tree favors sunny areas along the edges of creeks and river bottoms. The honey locust tree shown here was growing on the Dry Comal Creek hiking trail near New Braunfels, TX. It was incorrectly marked by the local park service as “Black Locust.” The black locust is a cousin of the honey locust but lacks the compound thorn structure of the honey locust. If you ever stop and get a closer look at these trees, they will leave an impression. What an incredible coat of armor on this tree. Yep You don’t run under one barefoot but once!!! Good jelly in the pod and pods make good locust beer.